A new study by The University of Texas at Austin has demonstrated a possible link between life on Earth and the movement of continents. The findings show that sediment, which is often comprised from pieces of dead organisms, could play a key role in determining the speed of continental drift. In addition to challenging existing ideas about how plates interact, the findings are important because they describe potential feedback mechanisms between tectonic movement, climate and life on Earth. The study, published Nov. 15 in Earth and Planetary Science Letters, describes how sediment moving under or subducting beneath tectonic plates could regulate the movement of the plates and may even play a role in the rapid rise of mountain ranges and growth of continental crust. The research was led by Thorsten Becker, a professor at the UT Jackson School of Geosciences and research scientist at its Institute for Geophysics (UTIG), and Whitney Behr, a research fellow at the Jackson School and professor at ETH Zurich in Switzerland. Sediment is created when wind, water and ice erode existing rock or when the shells and skeletons of microscopic organisms like plankton accumulate on the seafloor. Sediment entering subduction zones has long been known to influence geological activity such as the frequency of earthquakes, but until now it was thought to have little influence on continental movement. That's because the speed of subduction was believed to be dependent on the strength of the subducting plate as it bends and slides into the viscous mantle, the semi molten layer of rock beneath the Earth's crust. Continental movement is driven by one plate sinking under another so, in this scenario, the strength of the portion of the plate being pulled into the Earth's mantle (and the energy required to bend it) would be the primary control for the speed of the plate movement, with sediment having little effect. However, prior research involving UTIG scientists had shown the subducting plates may be weaker and more sensitive to other influences than previously thought. This led researchers to look for other mechanisms that might impact plate velocity. They estimated how different types of rock might affect the plate interface ¬- the boundary where subducting plates meet. Subsequent modelling showed that rock made of sediment can create a lubricating effect between plates, accelerating subduction and increasing plate velocity. This mechanism could set in motion a complex feedback loop. As plate velocity increases, there would be less time for sediment to accumulate, so the amount of subducting sediment would be reduced. This leads to slower subduction, which may allow for mountains to grow at plate boundaries as the force of the two plates running into each other causes uplift. In turn, erosion of those mountains by wind, water and other forces can produce more sediments which feed back into the subduction zone and restart the cycle by increasing the speed of subduction. "The feedback mechanisms serve to regulate subduction speeds such that they don't 'runaway' with extremely fast velocities," said Behr. Behr and Becker's new model also offers a compelling explanation for variations found in plate speed, such as India's dramatic northward acceleration some 70 million years ago. The authors propose that as India moved through equatorial seas teeming with life, an abundance of sedimentary rock formed by organic matter settling on the seafloor created a lubricating effect in the subducting plate. India's march north accelerated from a stately 5 centimeters per year (about 2 inches) to an eye-watering 16 centimeters per year (about 6 inches). As the continent accelerated the amount of sediment being subducted decreased and India slowed before finally colliding with Asia. Behr and Becker suggest these feedback mechanisms would have been very different in the early Earth before the formation of continents and the emergence of life. 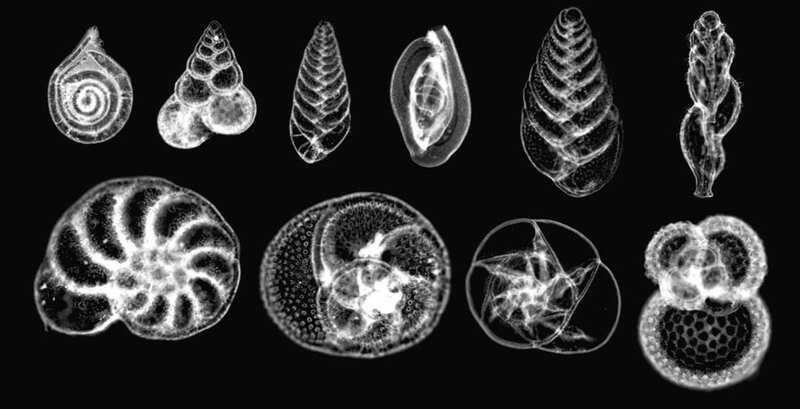 Although their model does not examine the origins of these feedback mechanisms, it does raise compelling questions about the interaction between continental movement and life on Earth. "What is becoming clear is that the geological history of the incoming plate matters," said Becker, who also holds the Shell Distinguished Chair in Geophysics at UT. "We will have to study in more detail how those possible feedback processes may work."